Big congratulations goes to Katie from Wellingborough. Katie had instructor before but was not very happy and contacted us. She booked her practical driving test in Kettering as there was not any date available available in Wellingborough. 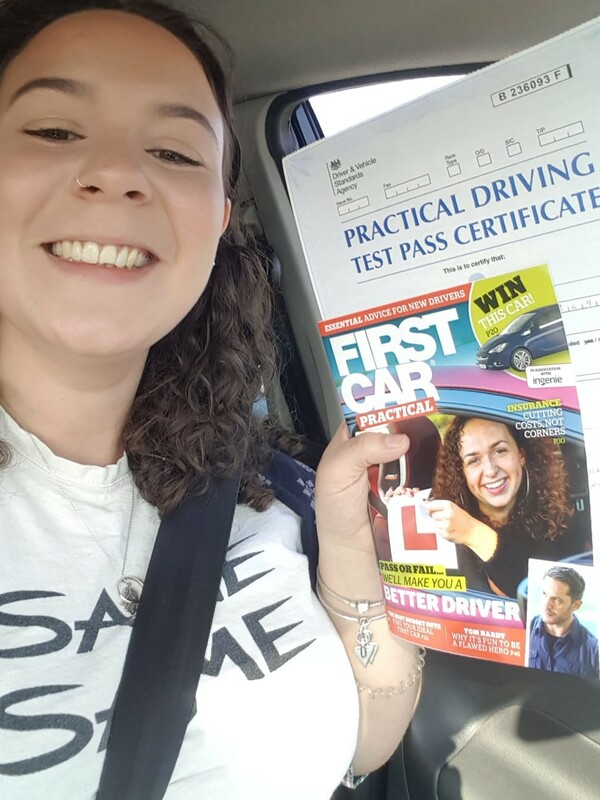 Katie had few driving lessons in Kettering with aDriving before her test and passed her test today 1st April 2019. She had 7 minor driving faults. Best wishes and enjoy your driving freedom. If you are looking for good driving instructors in your area(s) look no further then aDriving. Contact our friendly and reliable driving instructors for all your driving needs. We also offer one of the best intensive driving courses in town for complete beginners and people with little driving experience. Book an assessment lesson today and learn driving skills for life.